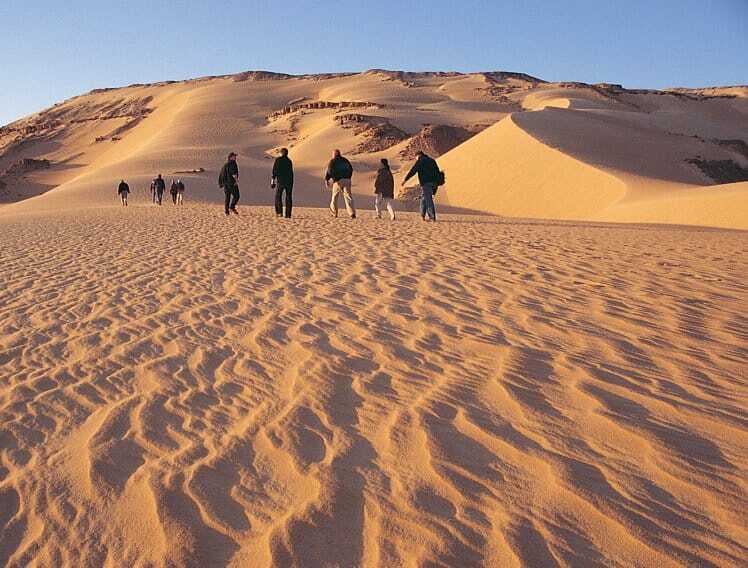 A journey to millions of years back in history when there was an ocean in the western desert of Egypt where desert is now, the Valley of the whales, the waterfalls of wady el rayan in the depression of Fayoum. A full day to Fayoum oasis to enjoy the ancient skeletons of the whales of wadi Hitan and the old waterfalls of Wadi el rayan. additional fee of 10$ if the transfer will be from (October city/Nasr city/Heliopolis/New Cairo hotels). We start our tour to Wadi Hitan Protected Area (the Valley of the Whales), about 90 km from Fayoum. It is located in the Protected Area of Wadi El Rayan. Where they found a 40 million year –old whale skeletons . then visit Mudawara Mountain. and Wadi Al Ryan Water Falls. 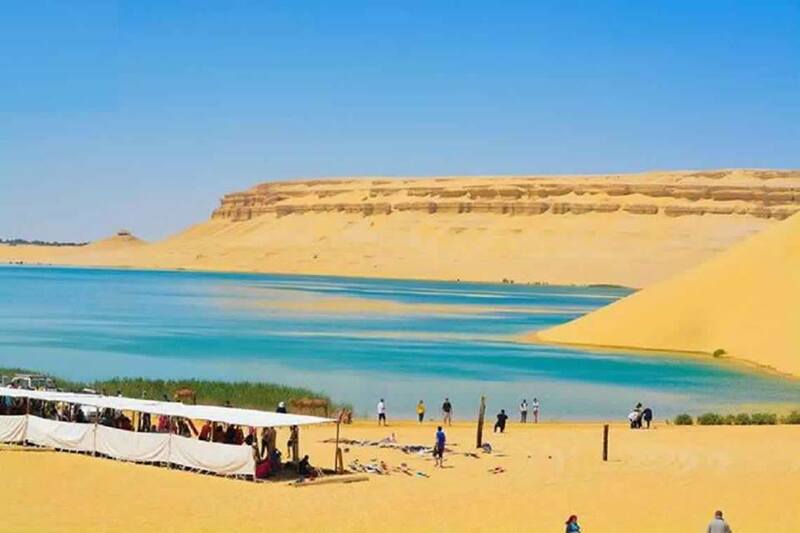 Wadi El Rayan is a natural depression located in the western desert, Wadi Rayan consists of two lakes connected by Egypt’s only waterfalls of drainage water from the farmlands in Fayoum. then enjoy Medinet Madi (Ancient City Uncovered) dates back to the 3rd dynasty built by the king Amenemhet III and completed by Amenemhet IV. Late Lunch will be served at a local restaurant. Then transferred back to Cairo.